MEMPHIS, Tenn. (AP) — Salah Mejri scored a career-high 19 points, including the tying basket in regulation and the first seven points of overtime as the Dallas Mavericks defeated the Memphis Grizzlies 129-127 on Sunday night. Mejri, who had nine rebounds and four blocks, was 7 of 12 from the floor and made a pair of 3-pointers. 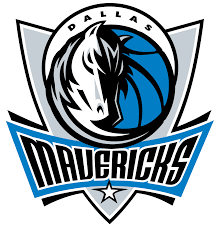 Trey Burke led the Mavericks with 24 points, 14 in the fourth quarter and overtime. Justin Jackson and Dorian Finney-Smith added 16 points apiece, and Finney-Smith grabbed 12 rebounds. Delon Wright had his second consecutive triple-double with 20 points, 13 rebounds and 12 assists for the Grizzlies. Justin Holiday paced Memphis with a career-high 30 points. Memphis led 112-110 after Ivan Rabb hit one of two free throws with 54.5 seconds left in regulation. After four misses inside by the Mavericks, they pulled even when Mejri scored on a putback with 1.5 seconds remaining. That sent the game to overtime after Memphis couldn’t get a shot off before the horn sounded ending regulation. In the extra period, Mejri scored on a pair of dunks and then a 3-pointer to give Dallas an early lead. Memphis tied it but could never go ahead, and the Mavericks made three of four free throws in the final 15 seconds. Wright’s 3-point attempt as the horn sounded was short. Mavericks: Dirk Nowitzki, who only played in the first half, has appeared in 76 games against the Grizzlies — the most regular-season games against the franchise by any NBA player. He is also second in scoring against the Grizzlies behind Kobe Bryant. . Nowitzki grabbed his 10,000th defensive rebound in the first quarter, becoming the fifth NBA player to reach that milestone. . Dallas rookie Luka Doncic missed his fourth game in the last five with a variety of injuries, most notably a bruised right thigh. Grizzlies: A 3-pointer in the second quarter set a franchise record for 3s in a season with 768. The previous mark of 767 was set in 2016-17. … Bruno Caboclo had a career-high 17 rebounds. His previous best was 13 on March 27 against Golden State. . Point guard Mike Conley missed his fourth straight game with left ankle soreness.